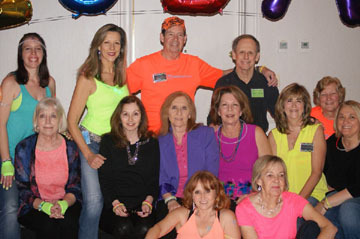 Friday Apr 19, 7:30 (Waxhaw) - Line Dancing at the American Legion, 801 East South Main St. No age limit or partner required. Doors open at 7 PM with beginner lessons from 7 to 8 intermediate lessons start around 8:30, open dancing after lesson. Call 704-843-9119 or visit www.waxhawlinedancers.com. "Fire & Ice" Dec 2013 - 32 count high-beginner line dance. "I'm Yours" Jan 2014 - 32 Count Improver, choreorgraphed with Amy Christian. My special thanks to Will Craig for working with me to choreography a dance to Hall of Fame together. Teaching "Fine By Me" at Thoroughbreds as a fill in. 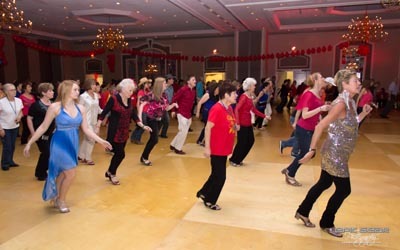 We developed this website to provide information about dancing in the Charlotte North Carolina area, including upstate South Carolina, as well as a portal for staying in touch with family and friends. 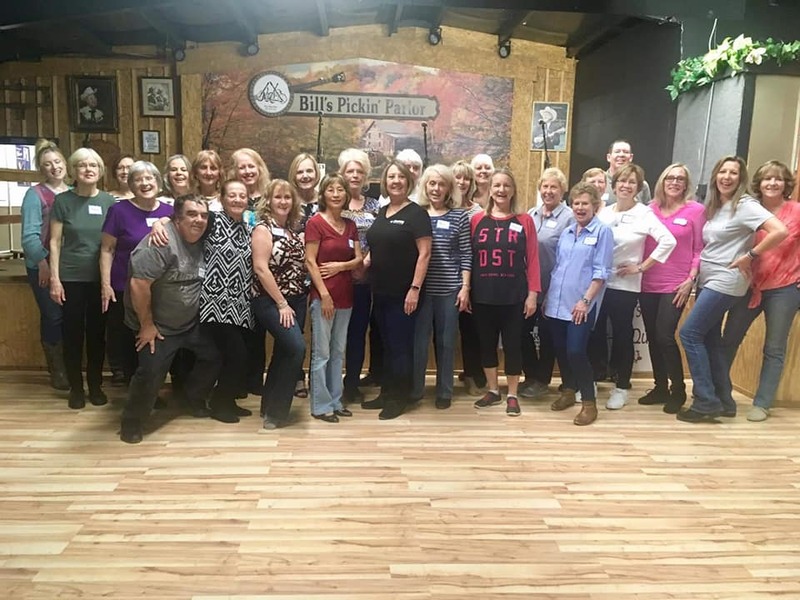 We teach and dance different styles from country western to ballroom and currently offer line dance, swing (east & west), night club-2, two-step, choreographed couples lessons and we do private parties and events. You may notice after surfing this website that our couples dances are usually taught as programs and not long term running classes, this is because we’re currently searching for a location to hold a weekly dance and lesson. You may also notice that we don’t hold weekly classes during the summer months, this is because attendance falls off during the summer. However, this summer we have arranged dance “Field Trips” to different clubs and lessons between Columbia and Charlotte, each week we email our dancers the “Field Trip” for the week and so far we're having a great time with it. As dance instructors we list information about our classes, as dancers we are happy to list dance events and classes being taught in our area. I enjoy posting local events because sharing information will lead us all to new dance opportunities and friends. To learn how to have your event posted please look under the “Local Events” menu pick. 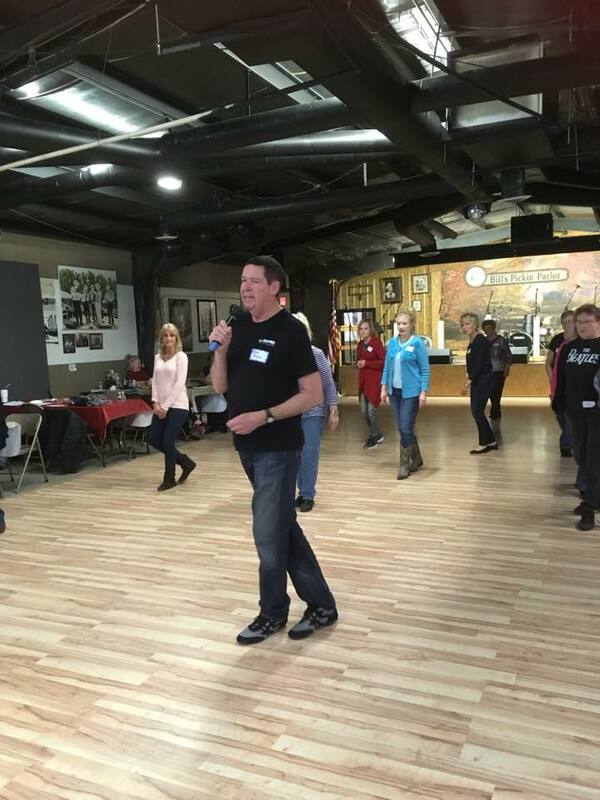 A question that is often asked is “Do I need a partner?” for line dance the answer is no, most line dance classes that run weekly are designed for you to just show up and start learning. 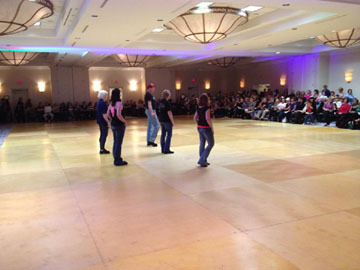 In our line dance classes we teach a new dance each week and review the dance from the previous week. We rotate between a few levels of dance so each week there will be a dance reviewed or taught that a beginner can learn. For couple’s classes we try to pair up those that do not have a partner, please email us in advance of the class and we will work with you. If you’re new to dancing or plan on attending a class please read the New-Bee page under “Our Classes”; there is a lot of good information on this page including information and links to footwear. I will also be updating this page very soon with additional information you need to know for dancing in clubs. April and I really enjoy attending a dance or lesson we have never been to before, we have done this for ye ars. The more instructors you take lessons from the better off you are; get out of your comfort zone and travel to other locations, you will quickly learn a variety of dances and make new friends. 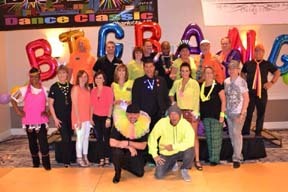 Some groups take their dancing more serious than others, my most memorable times have been spent with dancers who like to have fun on the dance floor and making mistakes is part of the fun. So save the serious times for the private lessons or workshops and dance to have fun! 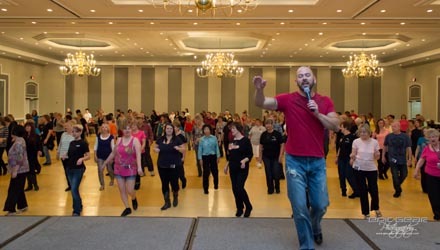 "Line dancing is a great way to work on body and foot technique. I still hear how many people can't stand line dancing and I think it is because they haven't tried it recently. No longer is it just t o country music, line dancing is to every kind of music from swing to top 40 pop. Its fun and it teaches us coordination. This is how some dancers learn to syncopate for west coast swing or cha, its a chance to work on feet instead of lead and follow. Its great exercise and challenging to say the least. Line has come a long way in the past 10 years or so. It may not be the greatest thing to sit and watch but it sure is fun to participate. Give it a try, work on foot positions, foot placements, arm styling, Cuban motion etc and you will find it improves your couples dancing as well."